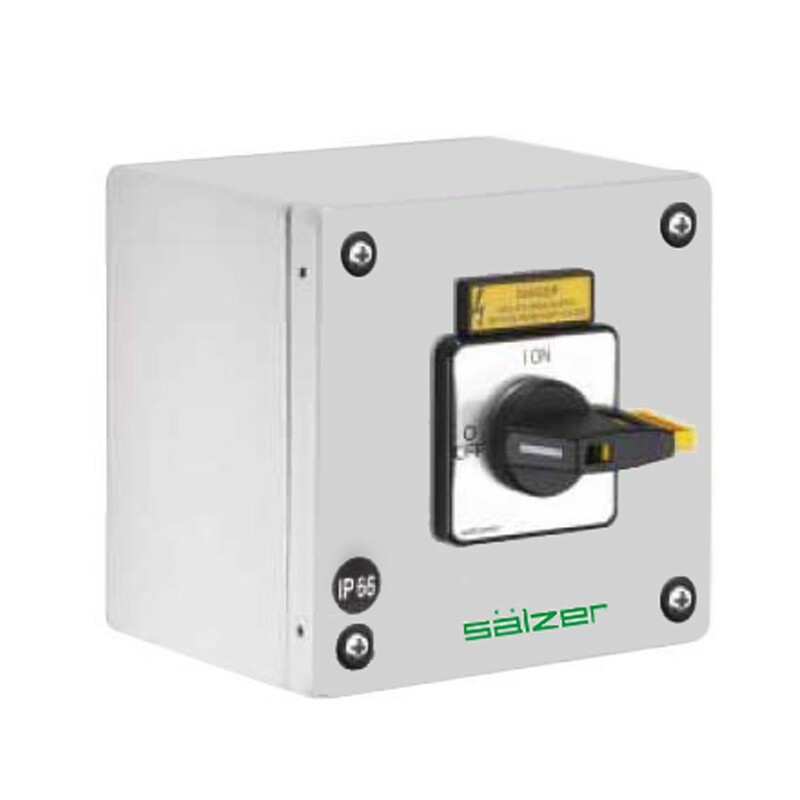 Salzer enclosed switches with mild steel enclosure (powder coated – RAL 7035). Cover interlock in ON position. 20 A up to 315 A.